VINELAND, Ontario, November 10, 2014 – A new research program is focusing on changing and improving the product mix for Ontario tender fruit and fresh grape growers. Vineland Research and Innovation Centre (Vineland) is evaluating plum, peach, nectarine and apricot trees from the University of Guelph’s breeding program in terms of superior varieties that meet consumer preferences. Vineland is also scouting the world for fresh grape varieties better-adapted to our local climate. 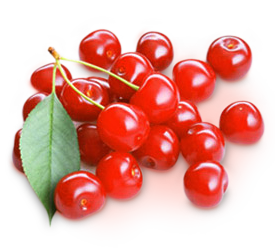 The government of Canada is supporting the development of new Canadian tree fruit and fresh grape varieties through the AgriInnovation Program as part of the Growing Forward 2 initiative. 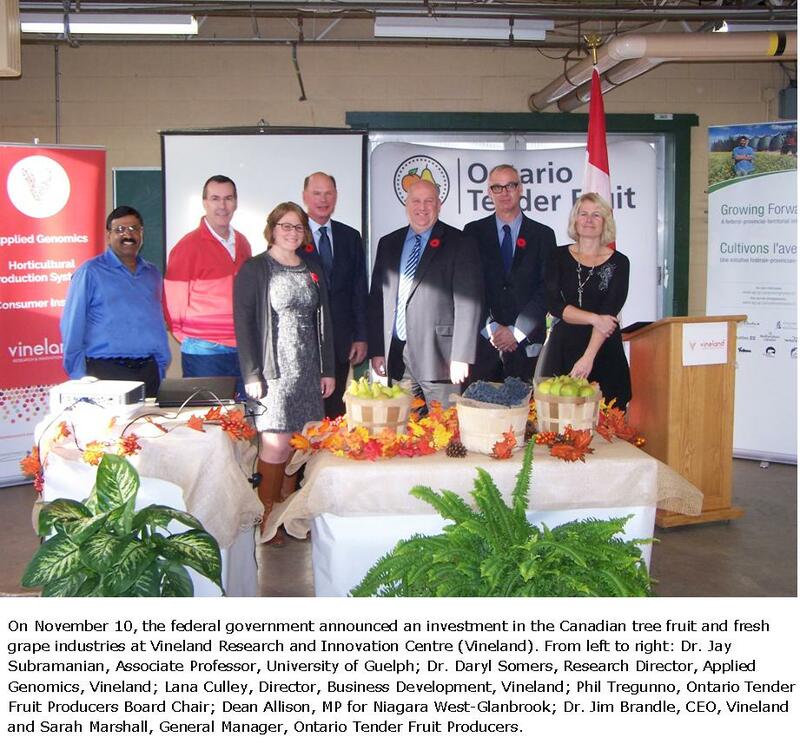 This four-year $590,000 research program is a collaborative effort between Vineland, the Ontario Tender Fruit Producers (OTFP) and the University of Guelph with additional support provided by the Ontario Fresh Grape Growers and VineTech Canada. “This collaborative research program will give growers access to tender fruit varieties bred in Canada and introduce fresh grape varieties that will add value to the Canadian tree fruit and fresh grape industry fostering economic growth,” says Dr. Daryl Somers, Research Director, Applied Genomics at Vineland. “In this highly competitive marketplace, identifying and releasing new varieties to meet consumer demand as quickly as possible is crucial to our industry,” says Phil Tregunno, Chair, Ontario Tender Fruit Producers. The Ontario Tender Fruit Producers is a not-for-profit, independent farming organization governed by grower members. Ontario’s tender fruit crops have an annual farm gate value of approximately $55 million. Vineland Research and Innovation Centre is a world-class research centre dedicated to horticultural science and innovation. Located in Canada's Niagara Region, Vineland's mission is to deliver innovative products and production solutions that address the needs of the horticulture industry and advance Canada's research and commercialization agenda. We are an independent, not-for-profit organization, funded in part by Growing Forward 2, a federal-provincial-territorial initiative. The University of Guelph is ranked as one of Canada's top comprehensive universities because of their commitment to student learning and innovative research. They are dedicated to cultivating the essentials for our quality of life - water, food, environment, animal and human health, community, commerce, culture and learning. The University community also shares a profound sense of social responsibility, an obligation to address global issues and a concern for international development.